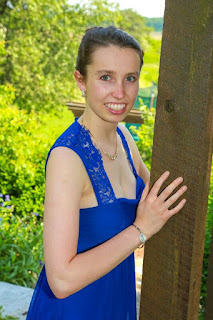 Official Blog of Michelle and James Herrle to give updates on our daughter Lydia and our family. A June highlight was prom for the class of 2017. Lydia attended so that she could share the evening with her friends, and celebrate their high school graduation with them. Lydia will likely not graduate until 2019, but she is progressing well towards graduation, and she is enjoying school. Thank you WO, for keeping the faith with us. Thank you for welcoming Lydia into your fold and caring for her, encouraging her and celebrating little steps with her. Together, we believe! Spring 2017 Happy Easter! May HOPE and new life be springing up around you. Today I came across a camera card with photos from 2014 that Lydia had taken. She took hundreds of photos! I looked at many of them, and what I saw, reminded me of where Lydia was, and made me so thankful for where we are today. The photos were mainly blurry, out of focus, with no apparent subject matter or focal point. They were taken at odd angles, or even upside down. These photos were taken at a time of great difficulty and setbacks - a stage in her recovery that lasted over 2 years. At the start of 2016, we began to notice changes in Lydia. She started having more "good" days. Her brain seemed to not be so noisy. She was less overwhelmed. These good days stretched into good weeks, and then months. Something had shifted within her, and she was able to be calm again. (There were no medication, diet, schedule, or caregiver changes that could account for the improvements we saw.) There were still fluctuations in mood, and emotion, but they were manageable. Something had shifted, and another part of her brain had healed. Praise God! Thank you to the many who continued to pray for Lydia, and us, and to care for us, in this most difficult and exhausting phase of her recovery. The photos I saw today mirrored what she must have been seeing at this time. She could not focus on anything - everything was blurry, and distorted. Thankfully, she has only few and faint memories of this difficult time. What a mercy! Praise be to the God of hope, for we are seeing progress and growth again in Lydia's brain development. In the last 15 months, she has been able to attend school quite regularly. Her brain has calmed and she can focus on cognitive tasks, on others, and on herself. She is becoming more independent than she once was - although still not independent like her brothers or her friends are! She can also communicate and is capable of rational thought again. And, most notably, she is often joyful! This May, it will be 5 years since May 17, 2012, when Lydia stepped off the bus, and life was forever changed for her, and us. Many, many times since then, I have read Isaiah 35, for hope and encouragement. In our home, we are grateful to be at a spot where gladness and joy have returned, and sorrow and sighing are fleeing away. In the days, and years ahead, we will keep looking to the One who can make a desert burst into bloom. Happy spring! 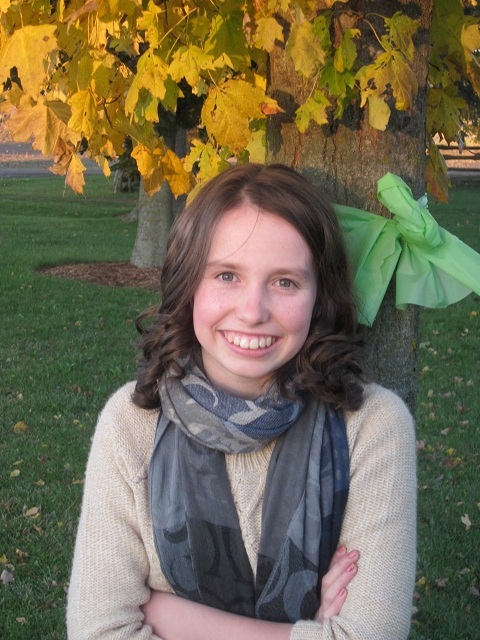 This fall has seen Lydia involved at Waterloo Oxford District Secondary School – the local high school in our area – the one she had always planned to attend when she was in elementary school. Lydia’s entry into our community high school was been very warm and welcoming! Lydia sees many friends, and she is getting to know many more, along with the staff, and faculty. She is happy to be a WO Crusader! 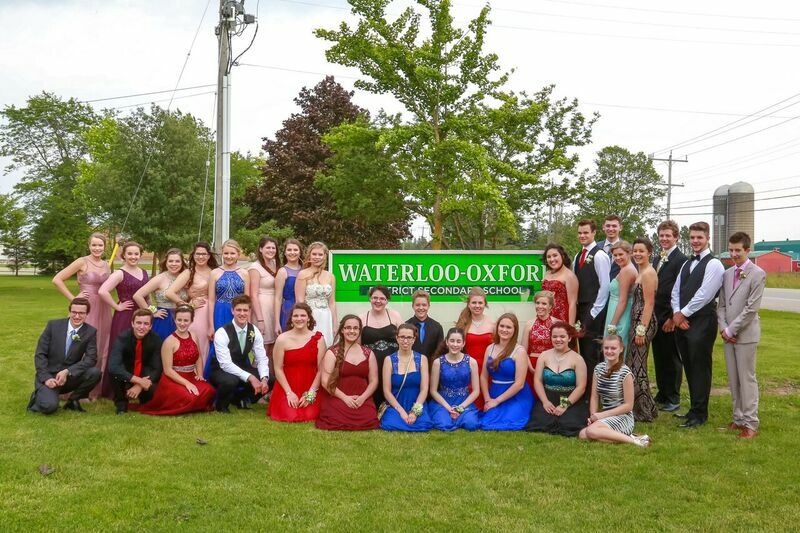 It is with such fondness that we remember Waterloo Oxford’s outdoor sign that read, right after her accident: Lydia Herrle, class of 2017. We believe! The collective faith and encouragement of this community to Lydia, in her recovery, is beautiful. She tries to be at school three days a week, for about 3 hours at a time, with her personal teacher. They do cognitive tasks in an effort to increase focus, memory and decision making abilities. These abilities have been greatly hindered in the past year and a half. They are also working on Coop together. Other days are quieter and have therapy sessions with her OT and SLP. Resting daily continues to be an important part of her recovery. She fatigues easily and does not have compensatory ability. When she is tired, her brain shuts down. Leaving Rockway Mennonite Collegiate was not an easy decision, but one that became evident as Lydia continued to decline, and could no longer focus on academics or even attend classes. Even with supports and modifications, she struggled to keep up with her advancing peers. The amazing community at Rockway cared for her and encouraged her, and we are grateful to them for their role in her recovery. Whenever we hear or sing, Run to You by Pentatonix, we think of her grade 10 music class and their amazing performance of this song. Set backs are hard. We were informed at the start of her recovery, that her progress would not always be upward and onward, but that it would include set backs, as different parts of the brain rewire. We were prepared for them in our minds, but so unprepared for the length and depth of the hardships they could bring. 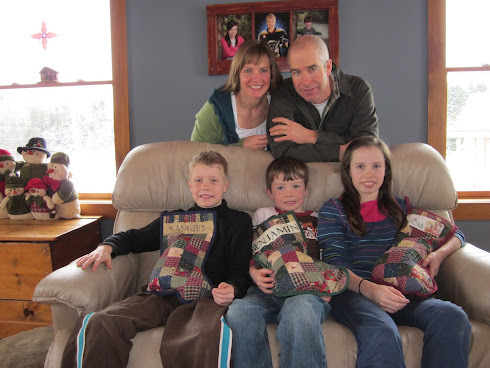 Lydia’s trajectory of healing and recovery has changed significantly in the past two years. Things she could do independently post accident, she can no longer do. Some days, she cannot memorize, or communicate succinctly, keep a train of thought, or handle commotion and stimuli. She is often anxious and unsettled. She suffers, and we are at a loss to relieve her pain. So often in the past couple of years, it has felt like the tires spin, but there is no traction. Our journey has taken us to hard spots of loss and pain, and has kept us there longer than anticipated, and it has changed us. Our family is changed. Our marriage is changed. Our hearts are changed. Yet, we are not without hope. We are still tucked tightly beneath the wings of the Almighty God. He loves us and holds us in every step of this difficult journey of recovery. He has not promised us freedom from challenges, but rather, His presence with us at all times. Thank you for continuing to pray for Lydia, and for us. Please pray for calm and peace for her mind; for endurance and strength; and for joy in the midst of sorrow. Thank you. Sweet 16. That milestone birthday marker, has been bittersweet. While we are so thankful to have Lydia with us, to celebrate her, who she is, and her part in our family, we have also had to swallow many lumps, and fight back tears, at the many difficulties she continues to face each day, and the normal teenage experiences that are out of her grasp. One week before that tragic day in 2012 that changed the trajectory of Lydia's life, I had picked her up after school from track practice, and we had driven home and stopped into our Farm Market at the front of our farm. When it was time to head home, I asked Lydia if she wanted to drive the car down the lane. With bright eyes and a huge smile, she got into the driver's seat. She very cautiously followed instructions and drove the car home. I have revisited that memory countless times in recent weeks. I'm so glad I gave her that short moment of "grown up" responsibility and greatness. And sadly, I wonder if she will ever be able to drive. Will she have the mental capacity and awareness to safely operate a motorized vehicle? We hope and pray that her brain injury will continue to heal. Lydia has made some inching progress in the past few months. She still struggles greatly with mood regulation and bipolar symptoms, racing thoughts, anxiety, sleep disorders, and concentration. 2014 was a very challenging year - admittedly a harder one than 2012. Lydia suffered many set backs last year. As we turned the calendar to 2015, we began to see glimmers of hope. More recently, she has been able to attend school, with a teacher or support worker. We are so grateful that her school community accepts and encourages Lydia in her journey of recovery. For much of first semester, she was absent from school - working with teachers or therapists from home, as she was able. Now, in second semester, she is taking Art, in addition to continuing her choral music course. This is a small step, but still one to celebrate! She so wants to be a part of school life, and spend time with her peers! She also wants to join every sports team, and every club! This is the old Lydia asserting herself, and the new Lydia has trouble accepting her limitations, and living in the reality of them. She is learning to dribble a basket ball, and like we did when she was little, we cheer her on when she progresses from being able to dribble 5 times without fumbling, to 15 times, and so on! She tries very hard, and it is heart breaking, as parents, to see it be harder to master these skills this second time, than it was the first time. We try to encourage Lydia to embrace who she is being recreated to be, to accept that she is different than before, and to trust God with the plans that He has for her. We commend her when she uses the abilities that she has to make a difference. She has a big heart (and smile), and in her slow, articulate manner, she often goes out of her way to encourage others, and to bring them cheer. She inspires people with out even knowing why. These are hidden gifts in this difficult journey that we need to discover, and treasure. In uncertain times, we stand on the certain truth that God is faithful; that He will never leave us or forsake us; that He is for us; that He loves us; and that He who began a good work will carry it on to completion. We rest in Him. We invite your renewed or continued prayers for Lydia. Thank you. Bethel Music has a beautiful song based on this old hymn. May it have you singing too. And may it be well with you. Written by Kristene DiMarco © 2013 Bethel Music Publishing (ASCAP). All Rights Reserved. Used by Permission.